NightLights for iPad Update Available! Kudos to the Apple review team at the App Store for expediting the update for NightLights for iPad! This is just a small update that fixes a BIG bug for users running iOS 6.0. For users running iOS 6, NightLights would crash when pressing the “Choose Photo” button, (Camera Roll icon). 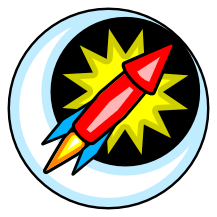 NightLights version 1.0.1 will fix this issue, and can be downloaded from the App Store. This issue only effects users with iPad 2, or newer, and are running iOS 6.0 or later. Original iPad is not effected, but all users should update. Win a copy of NightLights! 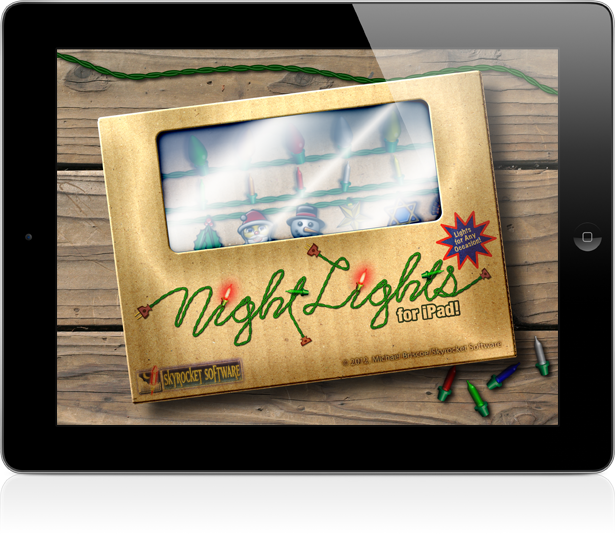 Five lucky people will win a copy of NightLights for both Mac and iPad! Just comment, “Happy Thanksgiving” to this post to enter! I’ll chose the winners randomly throughout the day! EXTRA EXTRA! I’ve decided to extend this giveaway throughout the Thanksgiving weekend! It’s come to my attention that there is a bug with NightLights for iPad, version 1.0. This only affects users that are running iOS 6. The “Choose Photo” button will cause NightLights to crash. I fixed this issue, and have uploaded an update to the App Store where it is “waiting for review”. I’ll post again when the update has been released. NightLights for iPad now Available! NightLights for iPad is now available for download! Get in the holiday spirit with NightLights! 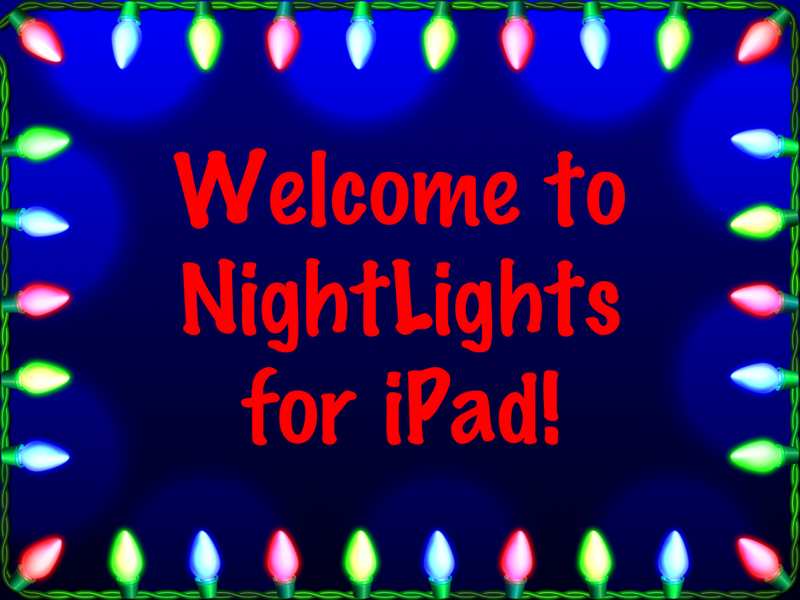 NightLights for iPad Submitted to App Store! Just a quick note to let you know that NightLights for iPad has been submitted to the App Store, and is awaiting review!